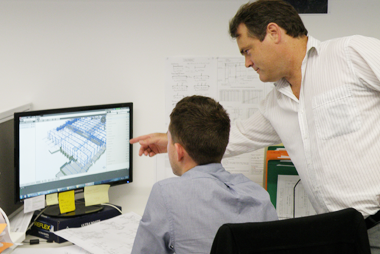 Starting as an apprentice draftsperson the person will learn about civil/structural drafting and administrative aspects of Costin Roe’s engineering practice. The person will be sponsored through a 4 year diploma of Engineering Drafting at TAFE and be mentored by our senior CAD drafts person. Available to 4th year civil/structural engineering students. Interns will have the opportunity to work on a variety of engineering projects within the commercial, industrial and residential areas. Interns will learn how to implement calculations, evaluations, drawing, proposal and reporting whilst under the mentorship of senior engineers.